Annual Conference was held in Roanoke this year and one of its highlights was the commissioning and ordaining ceremony of clergy. Ellen Fillette (our former Children’s Choir Director) was commissioned at this year’s Conference and will now enter a three-year probationary period where she applies her Spirit gifts in the local church. At the end of the three years she will undergo another series of written and oral exams that culminate in her being ordained an Elder in the United Methodist Church. Ellen just received her first full-time appointment to Centreville UMC at Annual Conference. Congratulations, Ellen! On another exciting matter, Eric Song, a former Trinity Associate Pastor, will begin his pastoral leadership at Good Shepherd UMC on Hunter Mill Road, Vienna. His wife Heather will appreciate having a shorter commute for her work as faculty at George Washington University. Chesterbrook UMC will receive new pastoral leadership as it prepares to welcome Daniel Park and his family. Daniel comes to McLean from Chicago. He and his wife have three children and are expecting their fourth. Chesterbrook is very excited about their new clergy family. Charles Wesley will receive new pastoral leadership, too. They prepare to welcome J.P. Hong and his family. His wife, Amy, is on track to become a Deacon in the UMC. They have two children. His previous appointment was Culmore UMC. Welcome, J.P. and Amy. The ministry team at Trinity is preparing for an exciting fall kick-off of new mission, ministry and education opportunities. Did you know that Trinity operates a Pastoral Care and Counseling Center at Trinity House (the old parsonage) and that professional counselors are there five to six days each week? We are planning for our fall Christian Education offerings, anticipating new and more exciting classes for our children, youth, adults and our confirmands. Your ideas for new ministries, missions and outreach are always welcome. We’d love to hear about the things on your mind and heart. These are only a few of this summer’s happenings. Don’t be scarce this summer. Have fun, enjoy your vacation time, and come to church when you’re home. Try our 8:30 am service. Try our Wednesday Noon service. Try our Celtic service. Follow us on Facebook and Twitter. It will be great to see you. For some people, there is the concern that one needs to be a biblical scholar to join the church. In fact, there is no United Methodist SAT required. All that’s asked is a willing heart. Others think they’re too busy to become members. We understand that you’re busy. Good luck finding many people in Northern Virginia who aren’t busy. We also understand that many people travel for work. We simply ask that you make church a priority for you when you are in town. Please don’t hesitate to call or email me if you have any questions. The church office number is 703-356-3312 and my email is egilmer@umtrinity.org. Why is Youth Group Important at Trinity? The ideal purpose for youth group is to make disciples of Christ for the transformation of the world. Do all youth groups succeed at this? No, and that’s ok. Here’s a reason why: The church is supposed to pursue this goal and the youth group is one of the ministries supporting it. That’s why I am confident that youth group is important at Trinity. 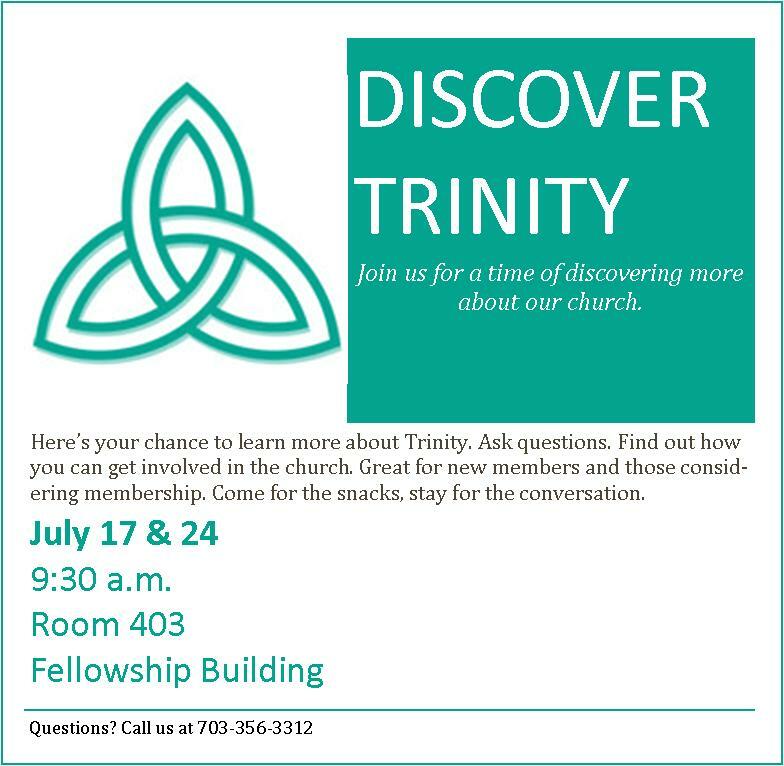 The highest priority at Trinity is to make disciples. We pursue this through growing in knowledge of Christ, worshiping as a faith community, loving one another, and serving the greater community for the transformation of the world. Therefore, there are a few things that I keep in mind as youth leader to ensure that we are supporting the overall mission of the church. Vision and Purpose: Is the youth group aligned with the vision and purpose of the church? Do we have other agendas? In some churches, the youth group feels like a separate entity rather than a natural extension of the church. The staff and I try our best to be on the same page so that anyone serving or participating in youth group experiences unity. Rhythm and Flow: Is the youth group aligned with the schedule of the church and also with the greater McLean community? We want to be counter-cultural, but do not want to compete needlessly with the flow of society and especially with the church. Many times I’ve been at churches where different ministries were competing for the participation of the same people. This lack of planning placed ministry leaders at odds with one another. In terms of being mindful of the McLean community, this will help us to coordinate rather than antagonize. Integration: Is the youth group helping teens integrate with the church? Are they asked to volunteer for VBS? Are they encouraged to participate in the greater church events and programs? I see all of Trinity’s activities as part of the youth group’s program; the Wednesday dinners, choirs, work day, missions, children’s education, etc. I want our youth to feel that they belong at Trinity rather than become a subgroup that meets at its own time and schedule pursuing their own goals. These three things are very important not only in developing a healthy youth group but also helping teens integrate into society as adults. If they have a positive and encouraging experience at church, I pray and hope that they will transfer those skills and experiences to thrive in institutions in their future. Posted on June 29, 2016 Categories Children, Education, Pastors' Articles, Worship, YouthLeave a comment on Why is Youth Group Important at Trinity? Complete a paper authorization form found in the Narthex to have your gift transferred from your checking/savings account monthly or weekly. Credit cards are also an option. Text to Give. You text to a secure number and it will ask you several questions to complete your contribution. More information is below. Gifts can be automatically transferred from your checking account. No need to remember your envelope on Sunday morning. Be a good steward of the Earth! Reduces the amount of paper used for checks, envelopes, etc. Do you pay for all your “things” online? Why not make your donations electronically as well? We want our members to contribute when and how they want. We offer several electronic giving options, including Give by Text, as convenient alternatives to checks or cash. In less time than it takes to write a check, you can make weekly offerings or respond to special appeals by simply sending a text message from your smartphone. Sign up today and be liberated from your checkbook. Simply send a text to 703-454-5532 with the amount you would like to contribute. Make sure to include the dollar sign before the amount (example: $25). Within a few minutes, you’ll be sent a text with a link to register. Click on the link and enter your cardholder name and credit or debit card information. Once your registration is complete, you will receive a text verification and a receipt via email. This month we continue our collection for Share. During the summer, the pantry shelves are often bare or empty. Please consider donating rice, pasta, peanut butter, beans, cooking oil, or any non-perishable foods. In addition, there is an immediate, urgent need for single packaged toothbrushes, new underwear in any size, and baby wipes. Please place your donations in the collection baskets in the entryways or in the bin in the fellowship hall. Church & Society needs you! 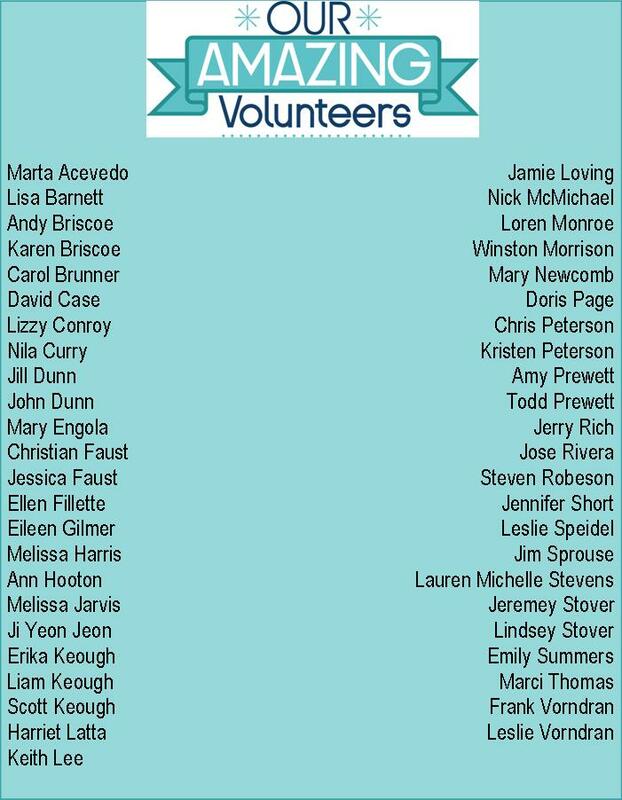 We have an immediate need for a chair or co-chair of this committee, as well as additional committee members. Please contact Chris Wilbur. Crafts for a Cause continues through the summer months, meeting on Mon., July 11, and Mon., July 25, from 7 to 8:30 p.m. in Room 124, to work on comfort items for hospitals and making dresses for needy girls around the world. 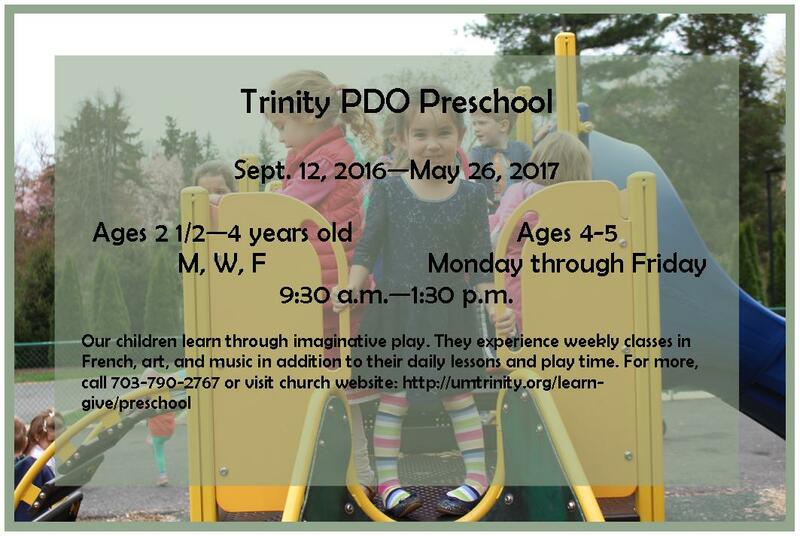 Visit the website for more details about Trinity’s PDO Preschool. Chinese philosopher Lao-tzu said that “a journey of a thousand miles begins with a single step.” Do you like to sing but have not joined a choir? Would you try singing in a choir for one day to see if it’s right for you? Why not sing with Trinity’s Choir for one of its Summer Sundays! Summer Choir rehearsals are held Sunday mornings at 10 a.m., when we learn a simple anthem for that day’s 10:30 a.m. service. 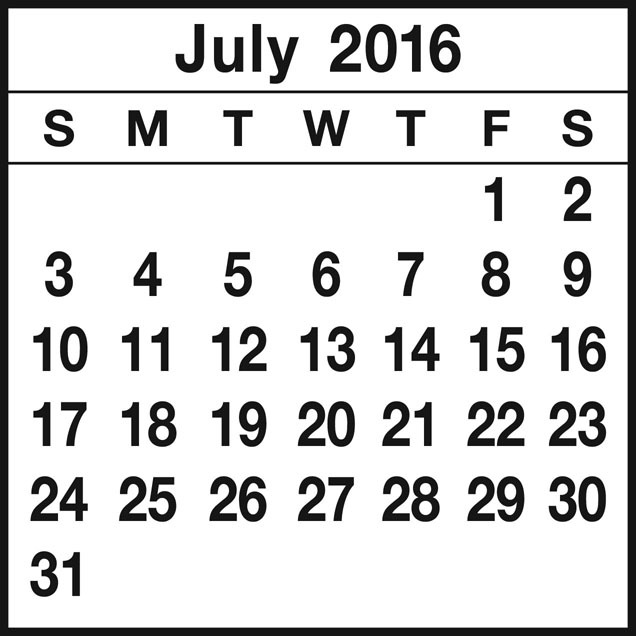 Our summer schedule begins mid-June and goes through Labor Day. You can take a “single step” and join us for one Sunday, or you can sing every Sunday this summer. Contact Jerry Rich for more information. All are welcome! Hi to all the kids of Trinity Church! I am so happy it’s July. I hope your summer is going well. How do you like my picture? 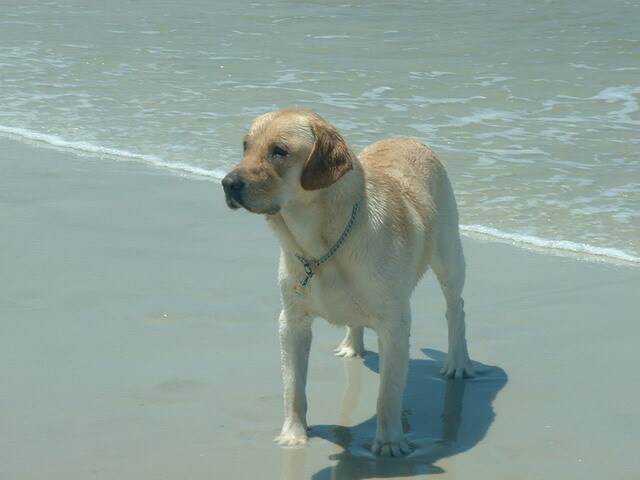 That’s me at Dog Beach in New Smyrna Beach, Florida. I love the surf and the sand. It’s fun to make sandcastles. Have you ever made a sand angel? It’s like a snow angel except you make it in the sand instead. I’m super excited that the theme of this year’s Vacation Bible School is Surf Shack − Catch the Wave of God’s Amazing Love. It’s a beach theme! In case you’ve never been to Vacation Bible School, let me tell you about it. It’s cool! We get to make fun crafts, sing great songs, and have yummy snacks. Our VBS leaders even have fun science projects. Best of all, we get to learn all about God’s amazing love for us. Tell your parents to mark their calendar. VBS is August 15-19. There’s more information about it on the church website, so check it out. If you are between the age of three and fourth grade, be sure to join us. For those older than that, Trinity would love to have you as a volunteer. If your parents or grandparents have questions, they can contact Jen Calsyn (jenfuqua@gmail.com) or Marci Thomas (lovemarci@hotmail.com). I hope you can come to Surf Shack. I’m stoked about it! Now, where did I put those boardshorts? 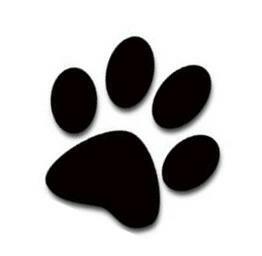 Always remember my motto: Paws for Jesus! Posted on June 29, 2016 June 29, 2016 Categories Biscuit/Duke/Henny, Children, EducationLeave a comment on I’m Catching the Wave!